IBR roofing sheet roll forming machine is suitable for industrial and civil buildings, warehouses, special buildings, long-span steel housing roofs, walls panel, interior and exterior decoration. it has now been widely promoted with light weight, high strength, rich color, construction convenient, seismic, fire, rain, life Long, maintenance-free features. IBR roofing sheet has so many features. I list some in the followings. ⒈ light weight: 10-14 kg / square meter, equivalent to 1/30 of the brick wall. ⒉ thermal conductivity: λ <= 0.041 w / mk. ⒊ high strength: can be used for smallpox retaining structure board bearing, bending compression; general housing without beams and columns. 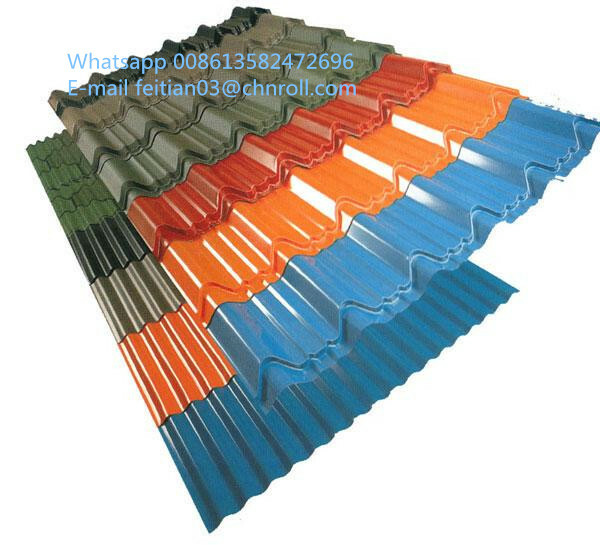 ⒋ bright color: no surface decoration, color galvanized steel coating in 10-15 years. ⒌ Installation flexible and quick: the construction period can be shortened by more than 40%. ⒍ oxygen index: (OI) 32.0 (Provincial Fire Safety Products Quality Control Station). We have rich experience in making IBR roofing sheet roll forming machines, if you have the requirements, we can give you the professional advice to reference. And there are some drawing profiles that we have made for our customers. You also can reference. Please feel free to inquiry us if you have the requirements. We are ready for give you the best service.